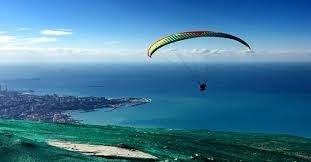 It's the highest take off point in Lebanon (750m), which makes it the number one site with the most beautiful scenery. 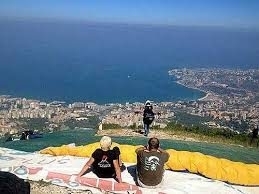 We fly over Harissa and land in Jounieh. We paraglide all year long and all day, even in winter, as long as weather permits. 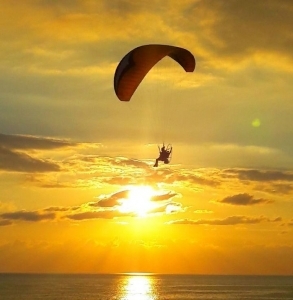 Our club founder, Raja Saade, was the first to bring paragliding to lebanon. A fast-food clown nailed to a cross has united its Finnish creator with Holy Land Christians demanding the artwork's removal from an exhibition at an Israeli museum. Central Bank Governor Riad Salameh on Monday called on all money transfer companies operating in Lebanon, such as Western Union and OMT, to exclusively use Lebanese currency when dispensing foreign cash transfers to recipients. Maronite Patriarch Beshara Rahi reportedly plans to schedule a meeting with “Maronite” leaders in a bid to reflect his “anger” at the delayed efforts to form a new government, al-Joumhouria daily reported on Wednesday.